The Depot Park Project is an effort to clean up brownfield sites in the south downtown area of East Gainesville, FL, and restore them to productive use. 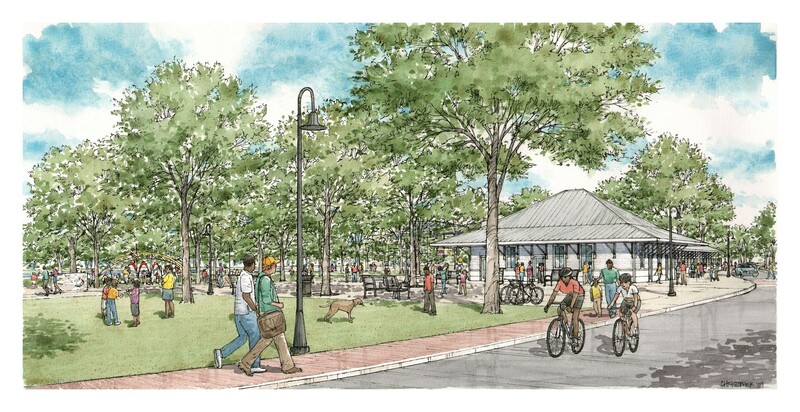 The centerpiece of the project is Depot Park, a centrally located stormwater park near Depot Avenue and Main Street. Once the industrial hub of Gainesville, the park land hosted numerous rail corridors and industries such as coal gasification and manufacturing. 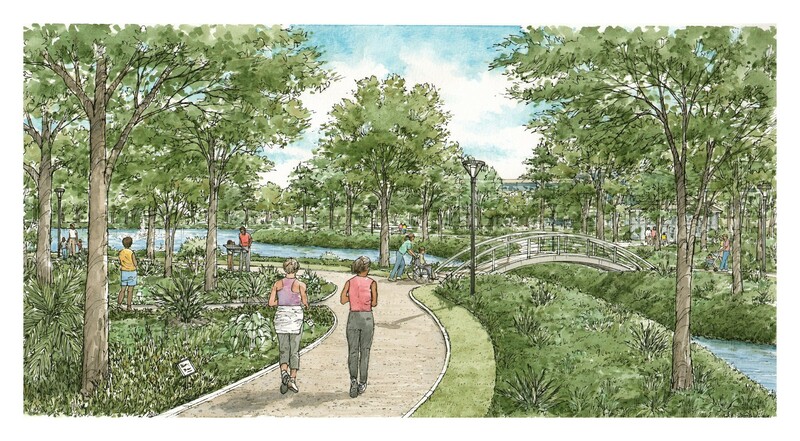 The new park features walking paths, boardwalks, interpretive exhibits, and native vegetation to recreate a natural North Florida wetland landscape. 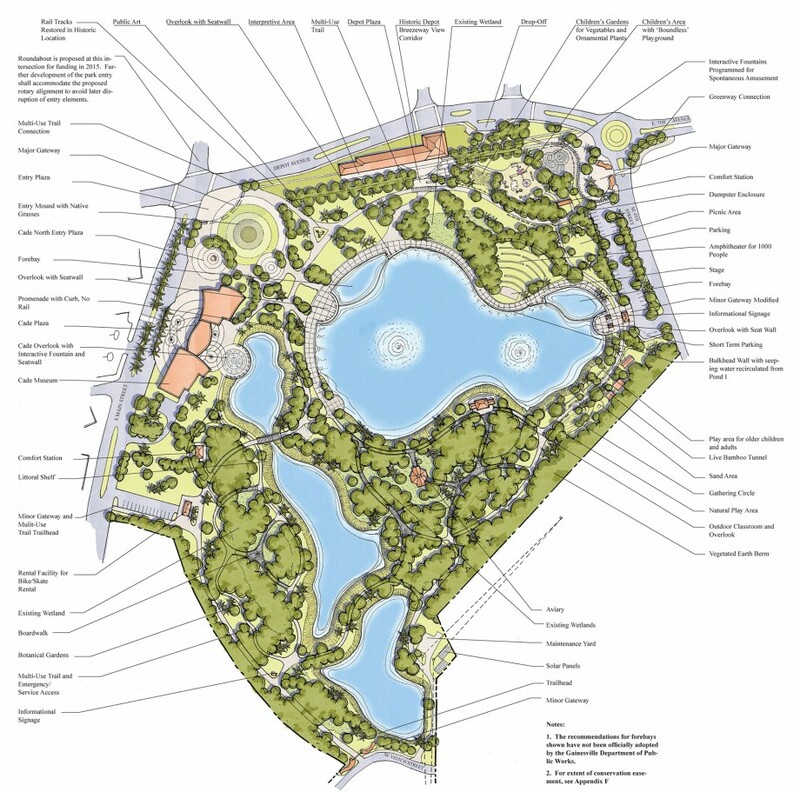 On-site ponds naturally treat stormwater and reduce contaminants entering Paynes Prairie. The City’s Community Redevelopment Agency retained CRJA-IBI Group to develop a manual of design and technical standards for Depot Park. 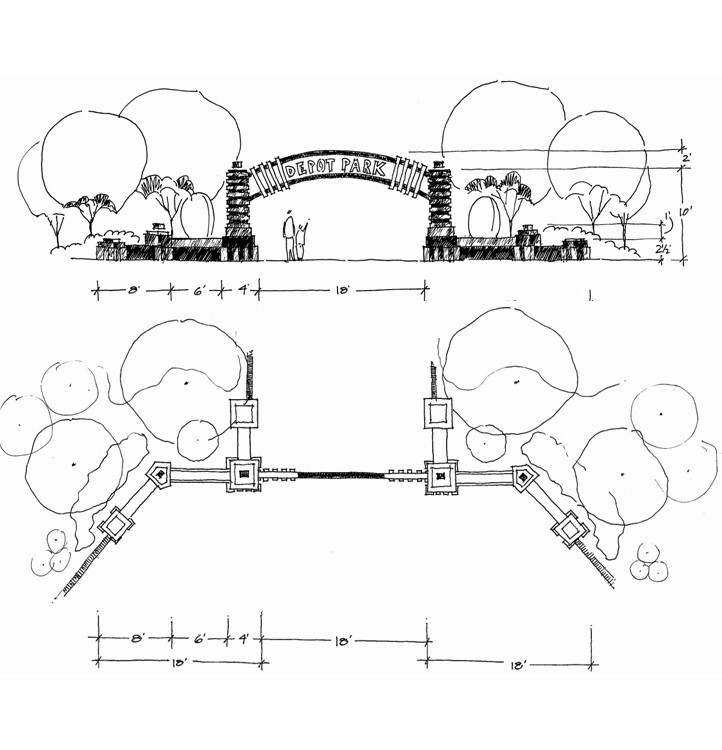 The standards help guide the development of the park, promoting consistency and quality of the built environment. The completed manual includes recommendations for design and technical specifications, engineering requirements, dimensions, patterns, materials, utilities and accessibility provisions for various areas within the park. Photographs, illustrations, specification sheets and other graphic information are incorporated into the manual. CRJA-IBI Group worked with City departments, the East Gainesville SPROUT Project Task Force, and the Downtown Redevelopment Advisory Board to develop the manual. 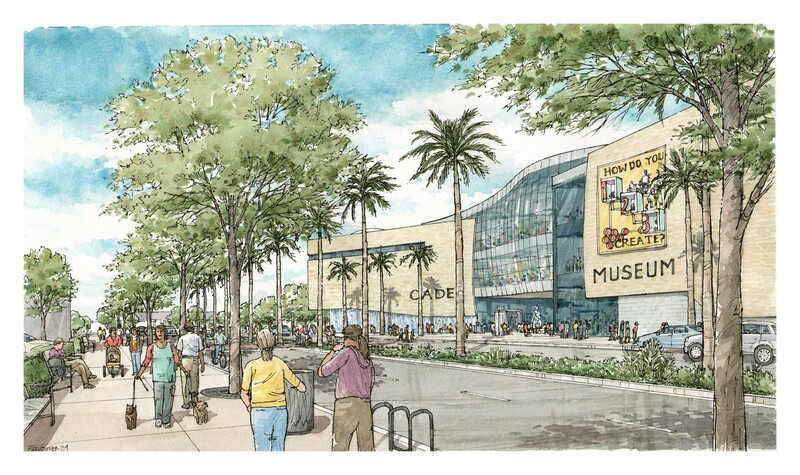 The illustrations convey the design intent for Depot Park as a whole and also show the relationship between the Cade Museum and the park. 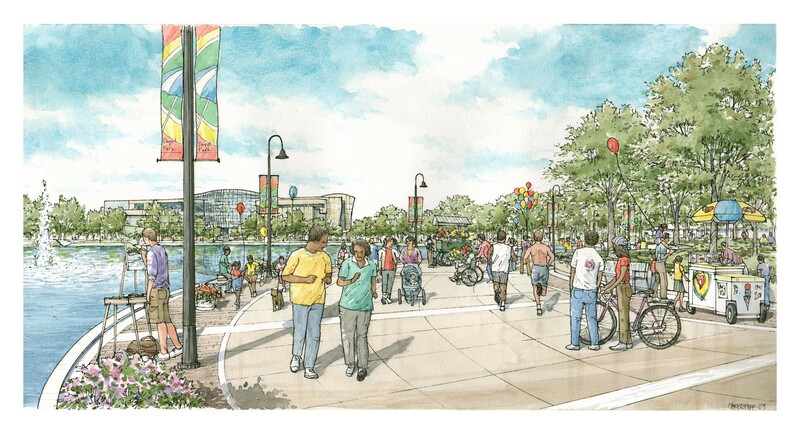 The illustrations also communicate Depot Park’s connection to the adjacent community and highlight the recreational opportunities that the park will provide.